Monthly Promotion: Is this Bonus Good Enough to Sink your Teeth into? There’s a unique chill in the air that comes with the spookiest month on the calendar. October is here, and the ghosts and ghouls are making their way to Palace of Chance for an opportunity to sink their teeth into the Fang-tastic October bonus offers. Trust us; the last thing you’ll want when you get a look at these offers is a clove of garlic or a wooden stake. Luckily, you won’t need to trade in your ability to go out in the sun or check your reflection in a mirror in order to cash in. Just throw on your scariest Halloween costume, and get ready to do the Monster Mash with Lady Luck all month long. Let’s just say that these offers have some serious bite. If you’re into slots and keno, the 350 percent no rules bonus offer is the perfect choice to get yourself into the holiday spirit. The fun doesn’t stop with those games, however, as the 200 percent no rules bonus is available on all allowed games. To say that these deals are absolutely spooktacular wouldn’t be an understatement. Are you brave enough to enter the ream of the intoxicating vampire and reap the rewards that lie in wait? They say that fortune favors the bold, but one look at the tantalizing Palace of Chance vampire may be too much to resist. We don’t call these offers Fang-tastic for nothing! Boosting your playing power has never been so simple. 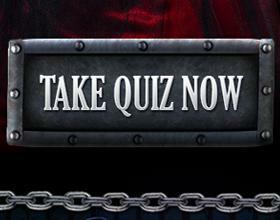 All you’ll need to do is take our special Vampire Quiz, and you’ll be well on your way to a $100 free chip just for participating. Answer a few simple questions about your vampire story, such as when your story would take place and what your goals would be, and you’ll get a free chip for your time. Like we said, this deal is so good it’s scary! 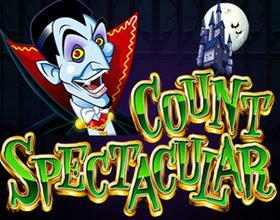 Few slots capture the true essence of what it’s like to be a vampire better than Count Spectacular. See for yourself by breathing some life into the Halloween season with this spooky slot. We hear the Count feels extra generous this time of year, or maybe he’s just hungry. Whatever the case may be, it couldn’t hurt to spend a little bit of time getting to know the casino’s resident vampire. Your vampire adventure is waiting to unfold, and the first step is to sink your teeth into these great bonus offers at Palace of Chance. If you’re having trouble claiming your spooky deals or want to learn a little more about the benefits of becoming a VIP, contact our award-winning customer service team through the Contact Us page of our website. Whether you’re a seasoned player at Palace of Chance or just stopping by, October is the perfect time to give your bankroll a little more bite. With a little luck, embracing your inner-Dracula could be the first step toward claiming some serious cash on your favorite casino games all month long.